NTP settings configure the GridGuard server for time synchronization with a reference time source. This is especially important for virtual machines rather than servers that run natively on hardware, as they are more susceptible to losing or gaining time. 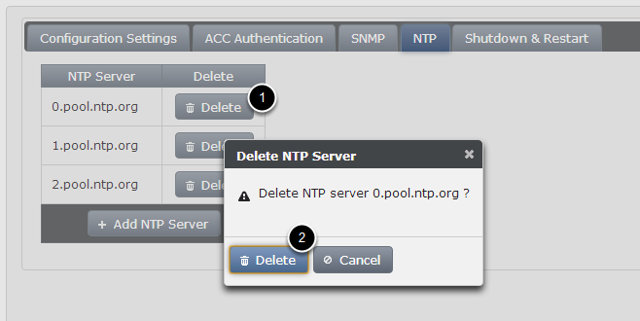 Note: NTP uses port UDP 123 for time synchronization. 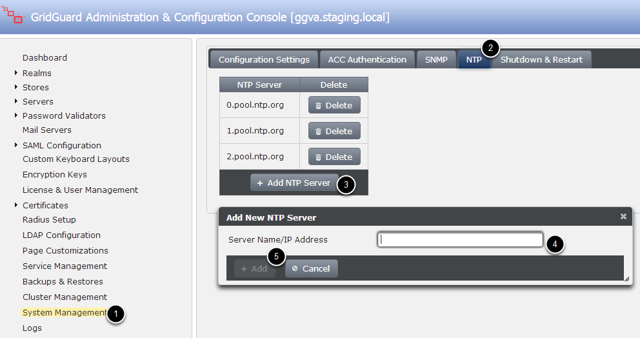 You will need to make sure that your network is configured so that the GridGuard server can access the NTP server at port 123 UDP. A dialog will pop up asking for confirmation. Click 'Delete' to proceed with the NTP server deletion.